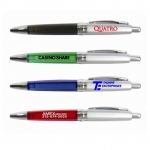 Promotional pens and pencils are the best selling promotional giveaways for kids and Promo4kids proudly offers one of the assorted selections of it. Pens and pencils are classic business gifts and kids will definitely love them. You can give away these promotional writing instruments during school events, tradeshows, business conventions, school anniversary celebrations or any other suitable occasion. Shop at Promo4kids.com to avail the best price benefits on bulk orders of these custom printed pens and pencils. Avail lowest price match guarantee and 100% customer satisfaction guarantee on these writing instruments. Fast shipping is offered within the contiguous USA. 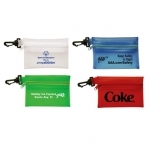 When you need the right promotional gift for your next campaign, it is important to invest in an item of high quality and purpose, isn't it? Personalized pens and pencils easily fit into that aspect and they will ensure that your brand logo or message is seen daily. With so many imprint options available, our customers will be able to have the flexibility to decide what they want to print over these pens and pencils. 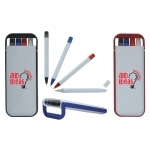 For example, you may wish to print your brand logo and brand message over these pens and pencils. If you are hosting a birthday party or planning to give these pens and pencils as return favor gifts, you might consider printing your special message or logo over them. The customization options are practically unlimited. We know that every competitor you know might be offering these promotional pens and pencils as business gifts but why choose Promo4kids? We will say that our selection was created after watching market trends as well as the buying behavior. They have been favored by marketers over the years to acknowledge their young customers. Our lowest prices when coupled with attractive bulk order discounts will make these writing instruments as one of the favorite of businesses, events and causes within the USA. If you feel that custom printed pens and pencils will do no good to your technology business or chemical factory, we will say it is wrong. Kids who receive these high quality pens and pencils will use them regularly at school and at home. Their parents will be inspired to believe that you are a customer-friendly company who has taken efforts to acknowledge their kid first. If you are yet to make up your mind on giving away custom printed pens and pencils on your next promotion, feel free to contact us at 855-454-3786 or write to us at info@promo4kids.com. 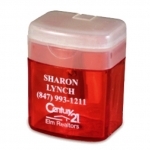 We will help you with the right product selection as well as the right imprint options.